Children with Autism Spectrum Disorders (ASD) often demonstrate significant deficiencies in social interaction and social communication skills, so it is critical to understand and develop interventions which directly address these needs. This book explores the core areas of ASD development and related deficits, and introduces a practical program to assess and remediate these social competency issues. This book addresses the primary issues of social development in children with ASD by emphasizing the underlying theoretical and pragmatic considerations. Dr. Cotugno employs concepts and theories of group therapy and cognitive-development and integrates them with skill-based instructional approaches to develop the comprehensive Social Competence Enhancement Program (SCEP). This peer-based, group-focused program is explained in detail, including a step-by-step guide to its implementation and a full range of tasks and activities that can be used by practitioners at each stage of the process. 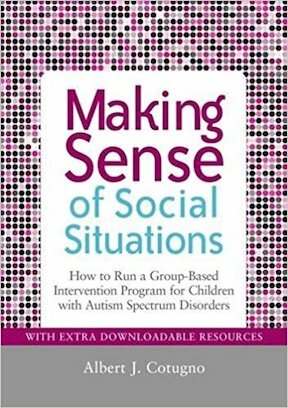 This book will be a valuable resource for teachers, clinicians and all other professionals working with children with ASD who are interested in using group interventions as a means to improve social competency and treat social skills deficits.